Tuesday: Wear purple! OUR SCHOOL RULES-I TUNE OUT VIOLENCE! Wednesday: Wear anything that represents a Super Hero! I HAVE THE POWER TO BE DRUG FREE! Thursday: Wear any type of sports gear (hats are allowed this day) WINNERS DON’T DO DRUGS! We hope you all have plans to get out and vote tomorrow! Voting will be taking place at Brockbank, so it will be a busy day for us! Veterans Day: We are excited to have our wonderful and brave Veterans come to our school on Friday, for our Veterans Day Assembly! We appreciate and love all of our Veterans and the great example they are to us! Our assembly will be at 10:45. Happy Halloween! It was so fun to see all the fancy, fun, and fearful costumes today! Thanks to all of you who helped in your child’s classroom! It was such an awesome day! Please check out our website, Facebook and Instagram for more fun pictures! We want to thank you for coming to SEP Conferences! It was great to see so many of you. If you weren’t able to come, please contact your child’s teacher and make an appointment with him/her. October is starting off with a full calendar! We have lots of fun and exciting events coming up so please mark them on your calendar! We want to thank all those who were able to make it to our Chick-Fil-A-Family Night! It was fun to see so many families there to support our school! Our second family night will be Monday, October 17th. We are excited to announce that we will be having a math lab in the mornings! We will open the doors to the library at 8:30, and we will have 2 technicians that will be there to help students with math homework. The math lab will begin, Monday, October 3rd. Thanks for your support with our minimal day today! We want to congratulate our great secretary, Brenda Johnson, for receiving a PEAK Award from Nebo District! Brenda works so hard as our secretary and loves each student here. She is helpful to everyone and makes sure our school is ready to go each day! Congratulations, Brenda! Another great week is ahead of us! Tomorrow we will be having our BFF activity. This year we are talking about a “Growth Mind Set,” and how we can strengthen our brains and learn new things, even if it takes time. After school tomorrow, ask your child what the power of YET means. We hope to have a few articles and other information for you on the Growth Mindset, so that you can be involved with this important concept! We are feeling a little bit of Fall weather in the air and the mountains are looking so beautiful as the leaves are turning! We like this cool weather—but still want our blue sky and sunshine! Our POP into Summer Reading Party will be Sept. 8th. Mrs. Plaisted has been working hard to have some fun activities for those who met their goal for summer reading! Thanks to all the students who read over the summer! Thanks for making our first week back to school run so smoothly! We are off to a great start and it’s so fun to see our students come with happy faces and wonderful attitudes! We have school calendar magnets in the office if you missed getting one at the Open House. I did give the wrong information and have Wednesday for the early out day instead of Monday. Sorry about that! It was a wonderful first day back to school! I loved seeing all the smiling faces come in to the school! We are so lucky to have such great students, supportive families, and an awesome school to come to. I also wanted to thank those who came to our open-house yesterday! It was great to see families come together and celebrate another new year of school! I appreciate the PTA, and especially Brenda Dudley for all the hard work that they have gone to in helping start the new year! It's the final countdown!!! We are so excited that in just one week we will be back together as a Brockbank family! As I have seen a few faces around the school and in town, it makes me appreciate the students and families here, at Brockbank, and how much I have missed you all! We have worked hard to get the school looking neat and clean! Our classrooms are ready to go and our teachers are thrilled to be starting another new year! We have the best profession ever at the best school ever! Thanks so much for sharing your children with us! 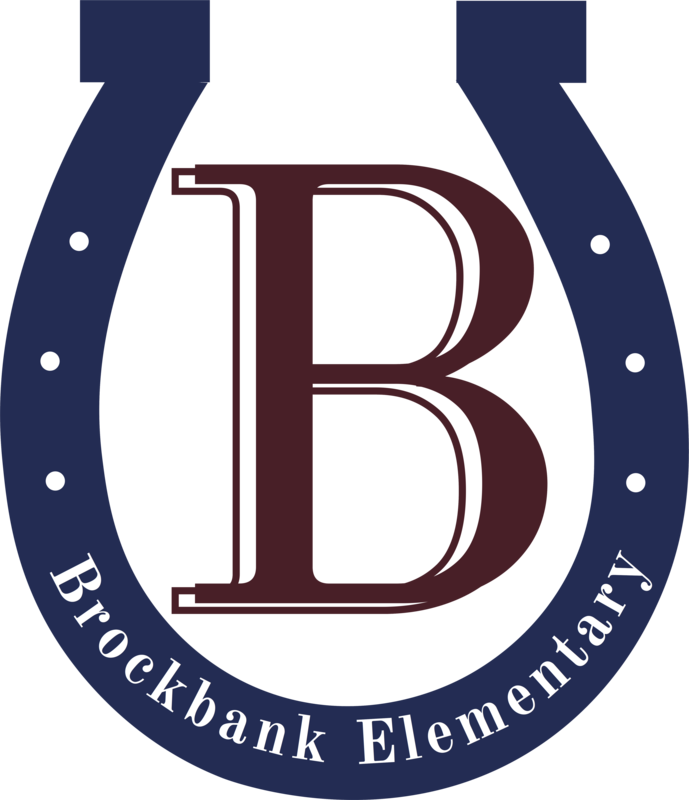 We just want to remind you that Brockbank Registration is tomorrow, August 2nd, from 7:30am-4:00pm. If you sent in your mail-in registration and received a response informing you of who your children's teachers are, you do not need to come tomorrow. However, we will have our Lunch Clerk there to accept school lunch payments and the PTA will also be there if you want to take care of those expenses. We will have a card reader for credit or debit cards, but only for registration, not for lunch or PTA payments.